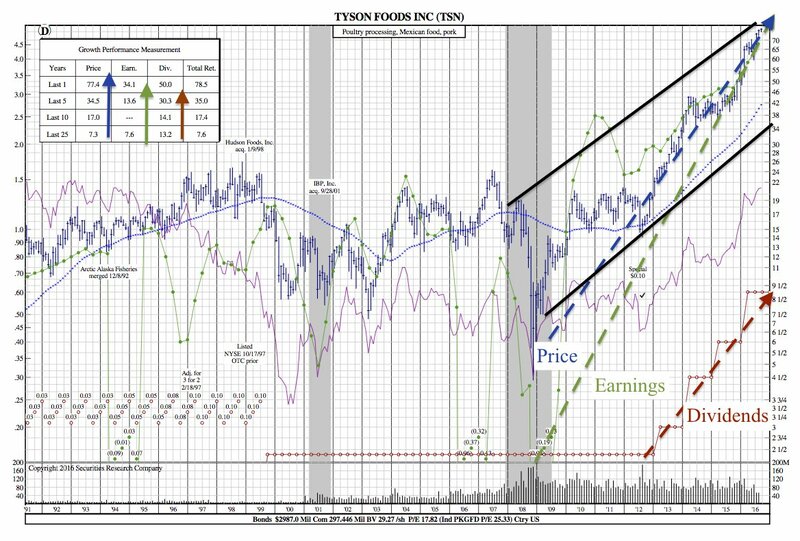 Since 2009, Tyson Foods ($TSN) has been on a great run. 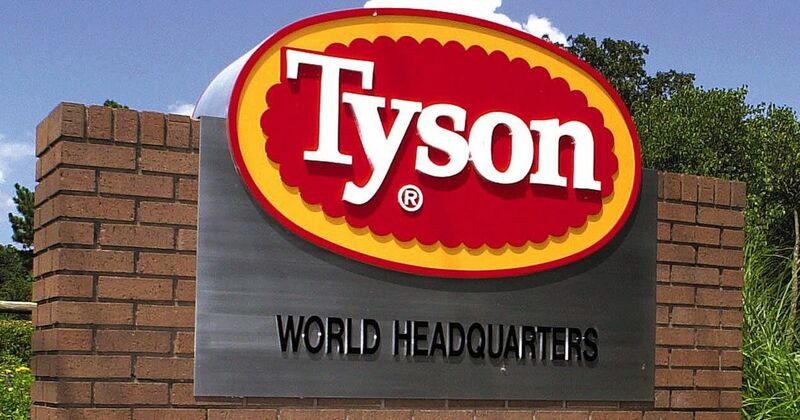 Among other consumer staple stocks, Tyson is a great option for strong returns in your portfolio. This year alone, $TSN has seen its price rise nearly 43% and has a potential earnings growth rate of 43% for the fiscal year. What’s driving the strong performance? In August, consumer confidence surged to record level, highest in the past 11 months. Lower gas prices, rising consumer confidence and higher than expected job data in Aug 2016 has positively impacted the consumer staples sector. Looking at SRC’s 25-Year Chart, we see strong growth in price and earnings. Accordingly, Tyson has rewarded investors with dividend increases (30% average increase over the past 5 years).